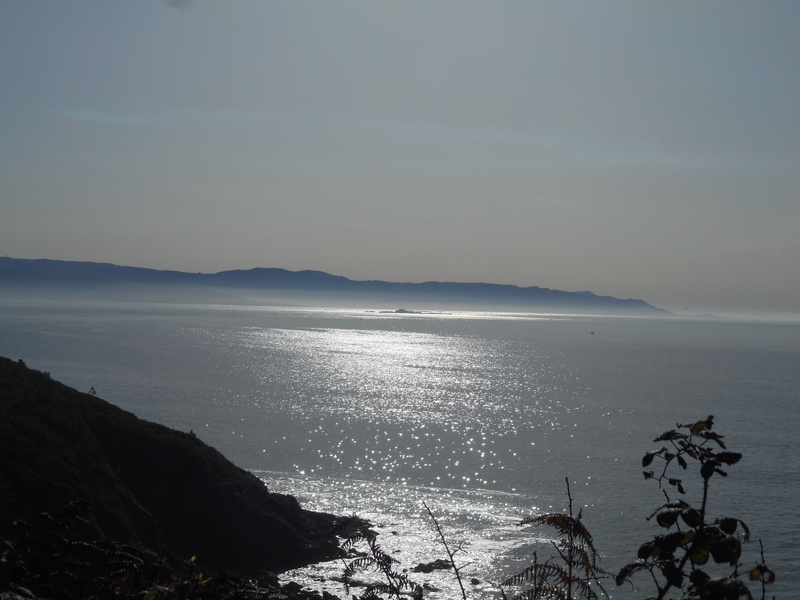 I have made it to the end of the world – Finisterre! My pilgrimage, plus extension, is now finally over. Tomorrow we will return to Santiago (by bus) and begin our return trips home and back to our “real” lives. I think I will return a changed person because of this pilgrimage. Not changed in dramatic ways, perhaps, but changed nonetheless. You can’t hike the Camino and not be changed. I just hope the changes are all for the better. 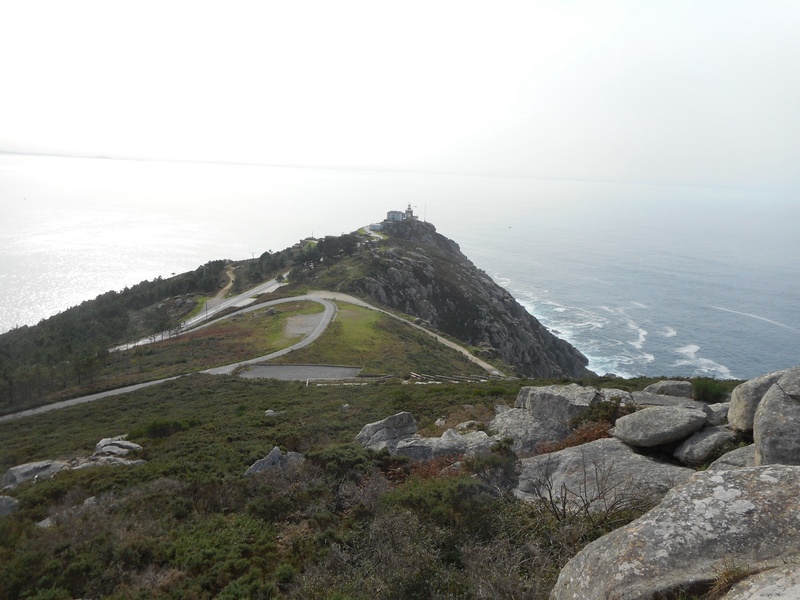 Yesterday we left Cee for the relatively short walk into Finisterre (only about 12 kilometers/7.5 miles.) Other than one steep climb, the walk was mostly flat. We had spectacular views of the magnificent rugged coastline and the trail eventually brought us right down to the sandy beach and sea level. 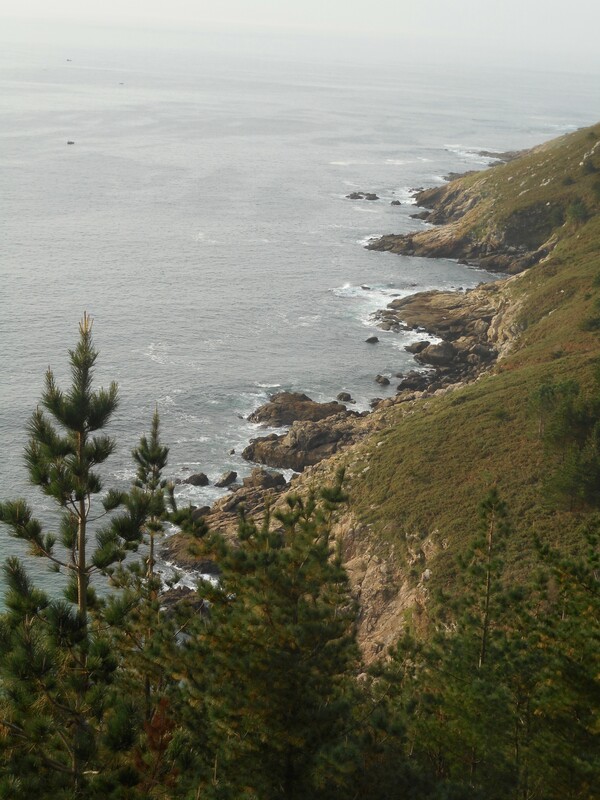 We also began having our first good, clear views of Cabo Finisterre (Cape Finisterre) in the distance. 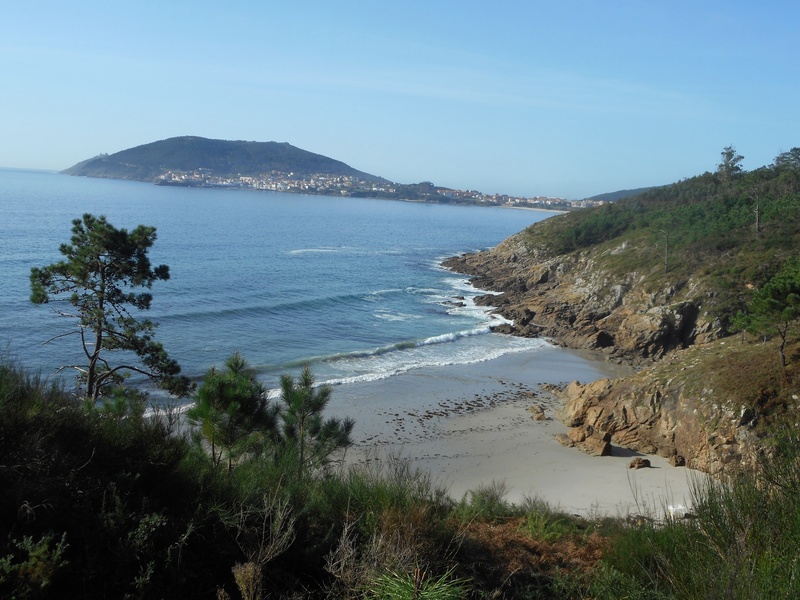 Upon arriving at the seaside town of Finisterre itself, we located an albergue and checked in. After the usual chores (shower, laundry, etc.) 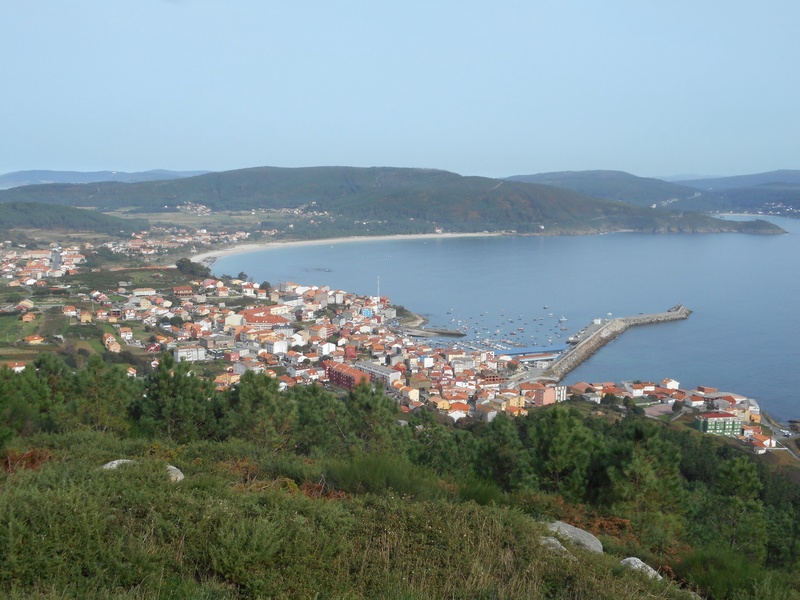 we ambled down to the municipal albergue and were issued our Fisterana – the colorful document that certifies that we arrived in Finisterre on foot – somewhat akin to the Compostela document we received in Santiago. It’s another item to hang on the wall when I get home. One of the realities of yesterday’s walk was that it was the final day during which I carried a fully loaded backpack all day. My Camino is now over and the pack will only be carried far enough to get it to the necessary transportation hubs (train stations or airport) and check it in. 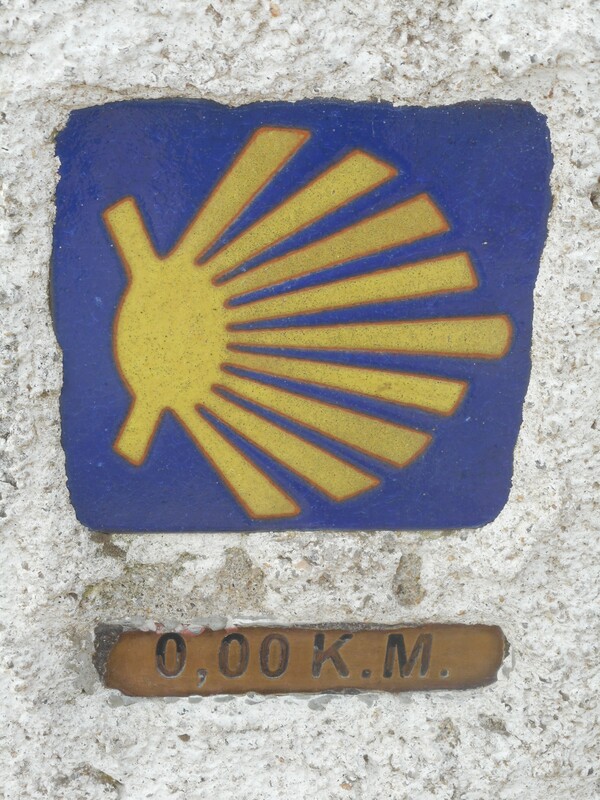 This is a very tangible way I know the Camino is really and finally over. The views from the point were magnificent. But, one of the last significant and iconic landmarks on the Camino was actually quite small and is located right next to the lighthouse. It is the 0.00 kilometer monument that marks the official end of the Camino. The hundreds of previous monuments we passed during the past several weeks only told us how much further we needed to walk to reach this very point. In keeping with another of the Camino traditions, a couple of peregrinos and I performed a simple ritual at the lighthouse. 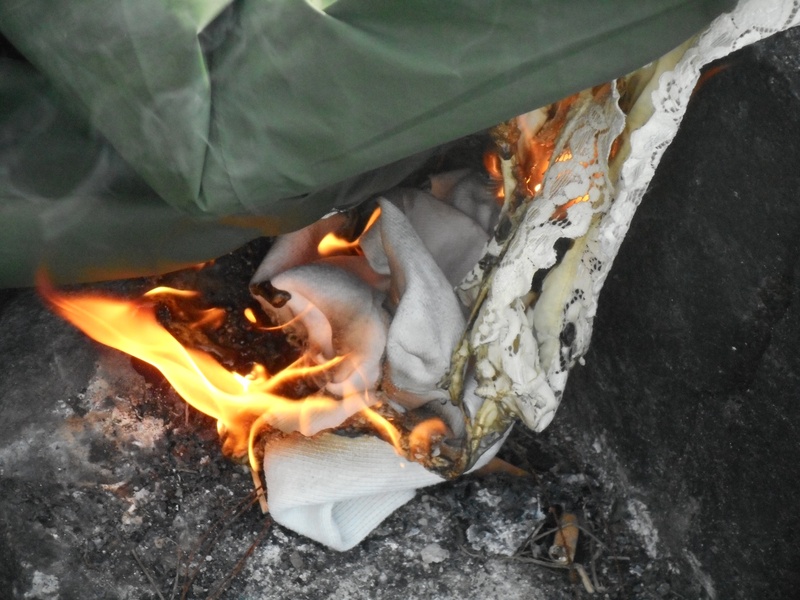 Tradition demands that each pilgrim burn an item of clothing here that has accompanied him or her on the Camino – sort of in homage to the experience. So, a pair of my liner socks which had helped keep my feet free from blisters for almost 900 kilometers, was sacrificed to the Camino gods in thanksgiving for successfully and safely completing the Camino. After that, there was nothing to do but return to town and think about our trips home. So, I expect that this will be my final posting for awhile on this blog. However, I also expect that I will feel motivated to offer some additional ramblings here from time to time in the days and weeks ahead as I reflect on the experience and try to sort out the affect it has had on me. For the past seven weeks my life has been different than ever before. I have become and assumed the persona of a peregrino. And, I have lived a lifestyle unlike any I have ever lived before. 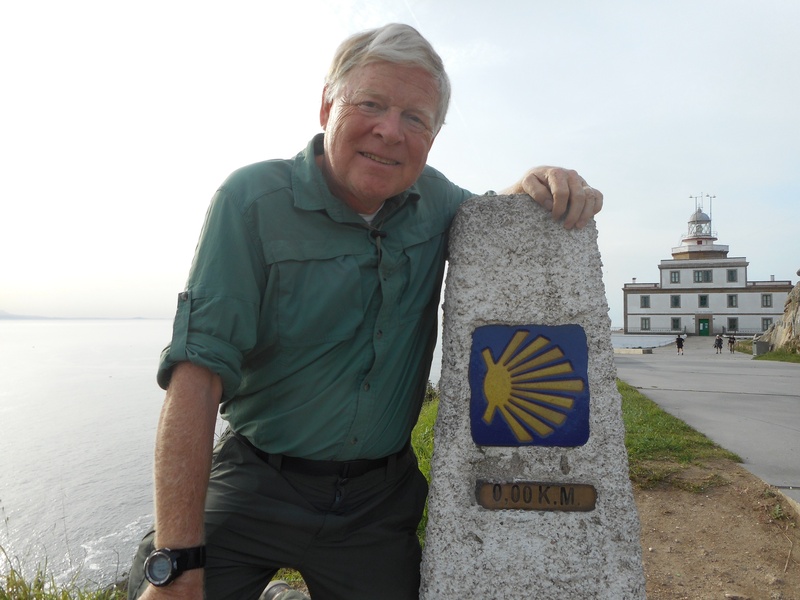 I hope I have been able to convey some of the excitement and adventure associated with the Camino to you in these blog posts. And, I look forward to spending time with you all at some point in the future to talk more about it in person. It is a subject of which I will never grow tired. 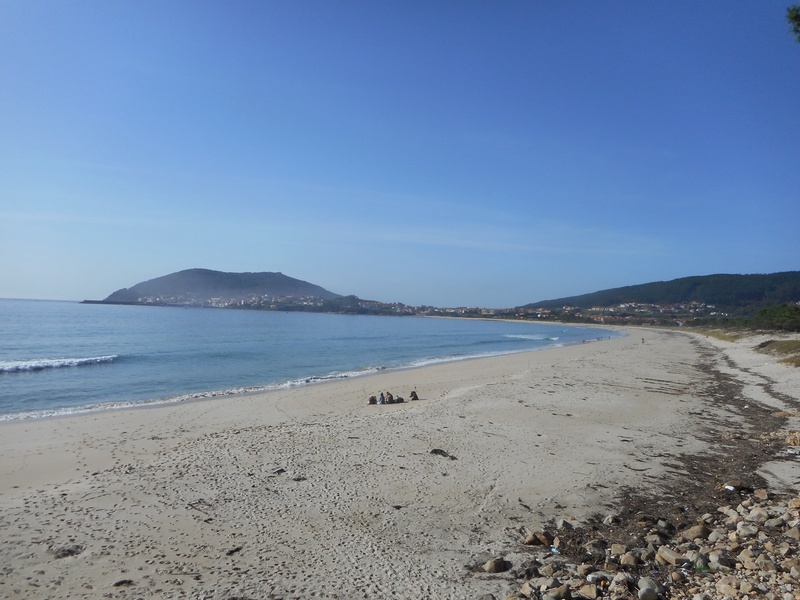 This entry was posted in Uncategorized and tagged Camino, Camino de Santiago, Finisterre, pilgrim, pilgrimage. Bookmark the permalink.